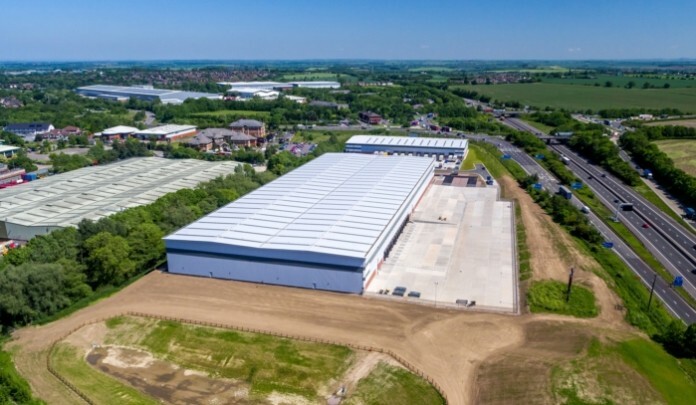 National property and construction consultancy Wakemans has completed work on a new development at one of the most popular industrial/distribution schemes in the Midlands. Appointed by St. Modwen, Wakemans provided a multi-disciplinary service acting as employer’s agent, quantity surveyor and principal designer on the construction of Unit A, known as CP53 and Unit B, known as CP153, at Centurion Park in Wilnecote near Tamworth. Unit A, which was completed as part of phase one in June 2016 and is occupied by DFS, comprises a 52,816 sq ft (4,906 sq metres) and warehouse facility with associated offices and external areas. Phase two involved the construction of a new industrial unit – Unit B. This unit, CP153, provides a total of 153,418 sq ft (14,253 sq metres) of space comprising a 147,196 sq ft (13,675 sq metres) warehouse and office accommodation of 6,222 sq ft (578 sq metres) over two floors. Both units are an extension of the existing industrial estate and the development has class B1, B2 and B8 planning consent. A 21-acre site adjacent to junction 10 of the M42, Centurion Park benefits from a prime location at the heart of the UK’s road network. Existing tenants include furniture retailer DFS, supermarket chain Aldi and AAH Pharmaceuticals.